September 15 is when Farhan Akhtar's Lucknow Central clashed with Kangana Ranaut's Simran. Both movies opened to middling reviews and the jail-break drama went to score a shade lesser than Kangana's crime thriller. In three days, Simran was already beyond the Rs 10 crore mark while Lucknow Central recorded a score of Rs 8.42 crore. Could Farhan's movie have made better numbers at the box office if the lead actor was embroiled in some sort of controversy? The marketing team thought so and presented the idea to producer Nikkhil Advani. Ahead of Simran, Kangana was busy with promotional interviews, in which she appeared to plug details of her personal life and make explosive revelations involving Hrithik Roshan and Aditya Pancholi, stars she alleges past affairs with. "I got a call from a marketing person saying Kangana's scandal is going on, tell Farhan to create a scandal.' This is an actual conversation! Farhan has to have a scandal otherwise our buzz won't go up. I said 'but what scandal?' and they were like 'any scandal but we need it'," Mr Advani reproduced the conversation, PTI reported. "I don't understand it at all. How can I approach Farhan and say 'hey let's have a scandal, otherwise no one will watch our film'," added the producer. The Hrithik Roshan vs Kangana Ranaut public feud has stretched over a year and a half now. To sum it up - Kangana claims a romantic relationship with the actor, which he disputes. This month only, Hrithik formally addressed the snowballed controversy for the first time in a statement. 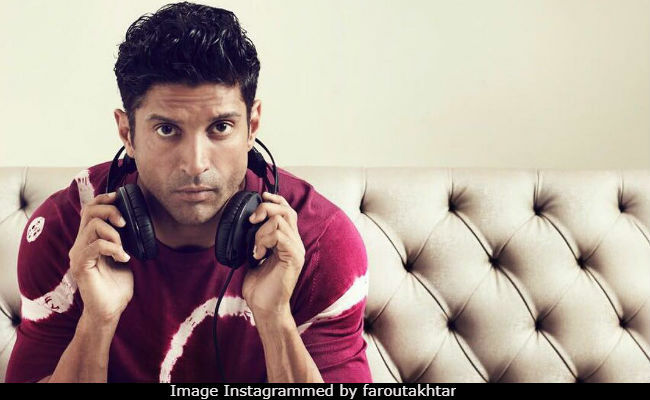 He denied having spent time with the actress privately and said he had been "harassed for 4 years" - Farhan was one of the first celebrities to have written a lengthy note in support of Hrithik. Lucknow Central remains Farhan Akhtar's last film while Kangana Ranaut will next be seen in Manikarnika - The Queen of Jhansi.